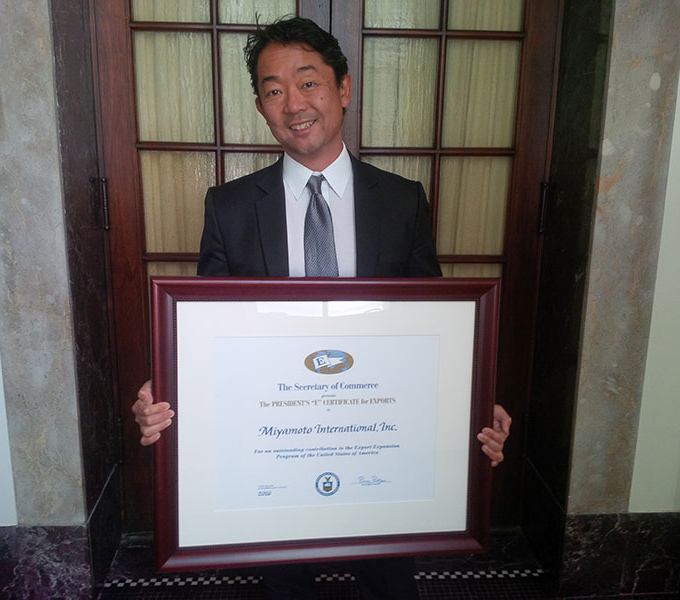 WASHINGTON, D.C.— U.S. Secretary of Commerce Penny Pritzker today presented Miyamoto International with the President’s “E” Award at a ceremony in Washington, D.C. The President’s “E” Award is the highest recognition any U.S. entity can receive for making a significant contribution to the expansion of U.S. exports. Miyamoto International is a global earthquake + structural engineering and project management company with 20 offices worldwide providing critical services that sustain industries and safeguard communities around the world. The company’s export is essentially technical knowledge. 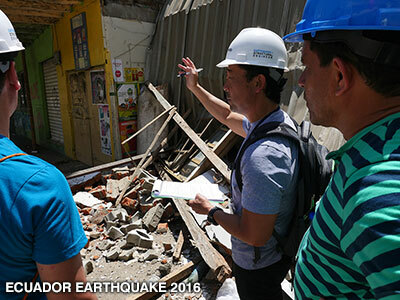 This technical expertise includes earthquake resilient engineering for both new and existing construction, earthquake risk reduction, disaster response and reconstruction. Outside of the U.S., the company has offices in Costa Rica, Haiti, Liberia, Italy, Turkey, India, Nepal, Bangladesh, Thailand, Japan and New Zealand. In 1961, President Kennedy signed an executive order reviving the World War II “E” symbol of excellence to honor and provide recognition to America’s exporters. Today, Secretary Pritzker honored 123 U.S. companies for their export achievements. In 2015, U.S. exports totaled $2.23 trillion, accounting for nearly 13 percent of the U.S. GDP. Nationally, exports contributed to the U.S. economy, supporting an estimated 11.5 million jobs.